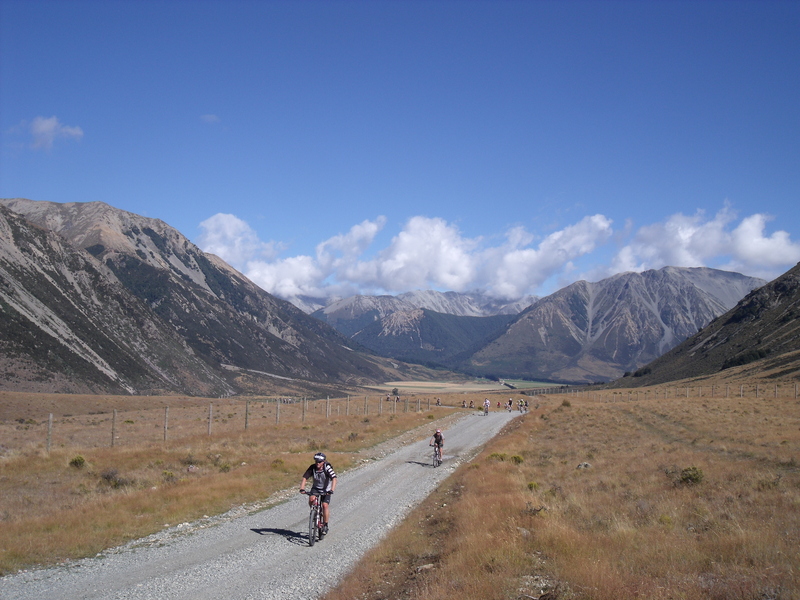 It was hard work but I was up at crack of dawn to head up towards Arthur’s Pass for the second time in 2 weeks. I headed up to Flock Hill station with a workmate to take part in the MTB trail ride there, a bit different from a race and possibly why there wasn’t many people our age there either! However it was a good opportunity to ride into the back of nowhere and do a bit of exploring. It didn’t take me long to get a bit frustrated with the slowness of the other people. We reached a creek, quite an challenging part of the ride and just about everyone got off to push. I however was up for the challenge and headed straight into the creek head first over the handle bars as it was a bit deeper than it looked! Somehow I managed to control my fall and basically ended up standing in the creek with my bike. It wasn’t long before Jim was starting to struggle a little bit, especially up the hills where my weight and strength played to my advantage. After a few steep climbs and a couple of interesting descents it was straight back up the hill to finish. Somewhere along the way I managed a puncture and 400m from the end I had to stop. I wasn’t going to change it so I just pumped it up and then rode super hard to get the 400m back to the car with out the Tyre going flat!